With a history of seventeen years in development, the Health Mela model has been universally acknowledged for its success in presenting to local communities, an engaging and informal perspective on personal and community responsibility for health issues. 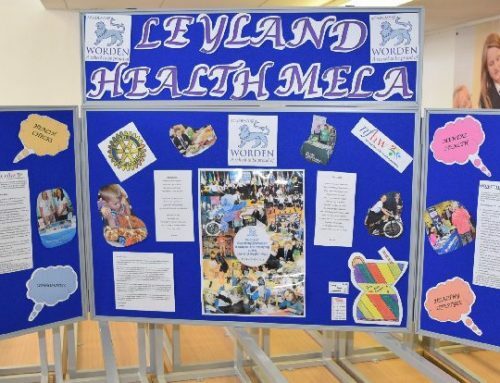 The first Health Mela was staged in Preston, Lancashire in 2002 by what is now the National Forum for Health and Wellbeing. 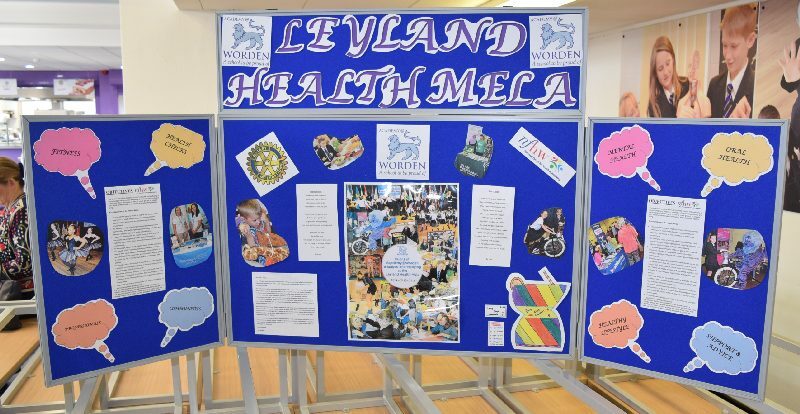 Events were then offered more widely across the North west, to other parts of the UK and recently reached as far as Uttar Pradesh, India where students of the Westridge Hilton School, Makoiya staged a successful Mela after their Headteacher had visited and been enthused by a Health Mela organised by NFHW in collaboration with Worden Academy, Leyland. 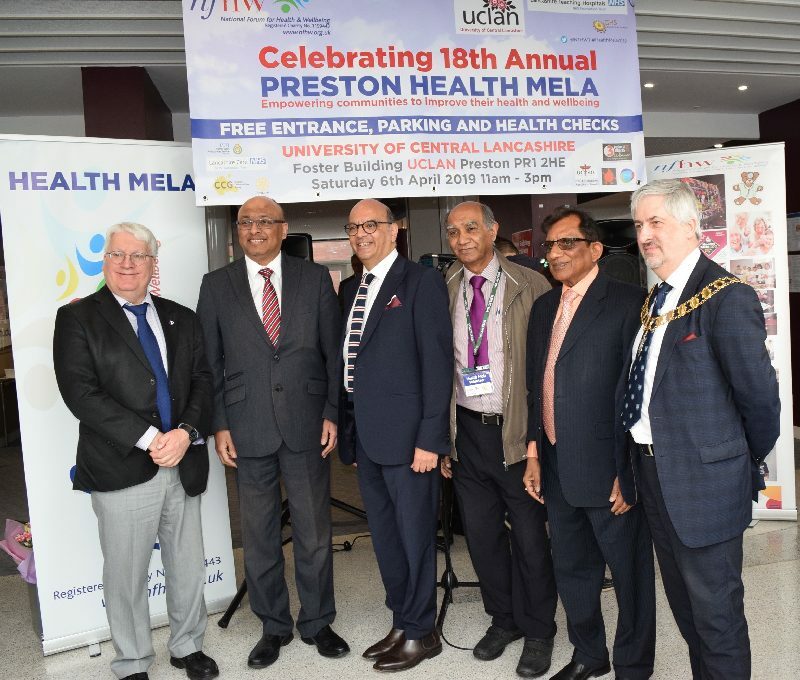 From its origins in the Gujarat community of Preston, the National Forum for Health and Wellbeing has always had a strong international dimension, and this has been strengthened by links formed with local universities not least the University of Central Lancashire, (UCLan). 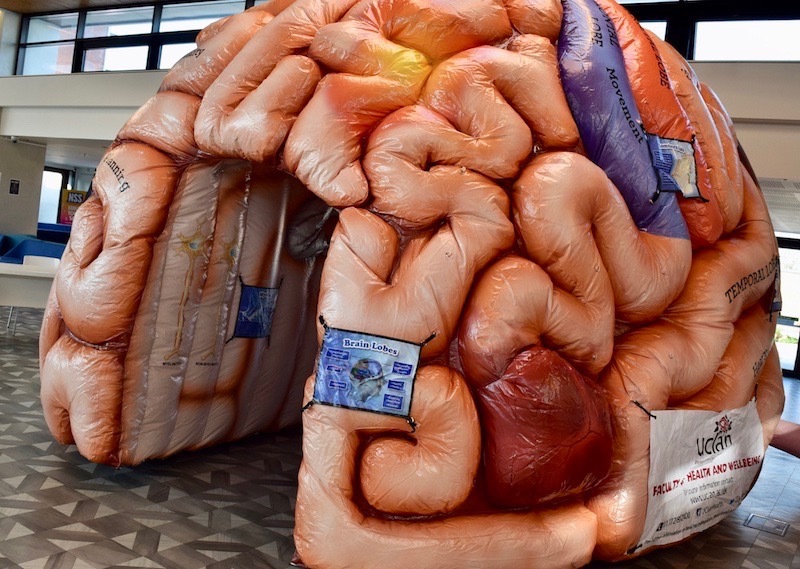 The Melas rely heavily on the support of undergraduate student volunteers drawn from countries around the world many of them studying medicine and other life sciences. These, our international colleagues, play an everincreasing role as volunteers and form an essential part of the teams providing health checks, counselling etc. and it is heartening to see how much they give to each event. A recent Media Release from UCLan, ‘From Preston to Benghazi’, reproduced below, is evidence of the significance of these international contacts, and confirmation of the universal appeal of the Health Mela format. NFHW offers its warm congratulations to all those involved in the Libyan initiative and its gratitude for the support it continues to receive from the staff and students of UCLan. 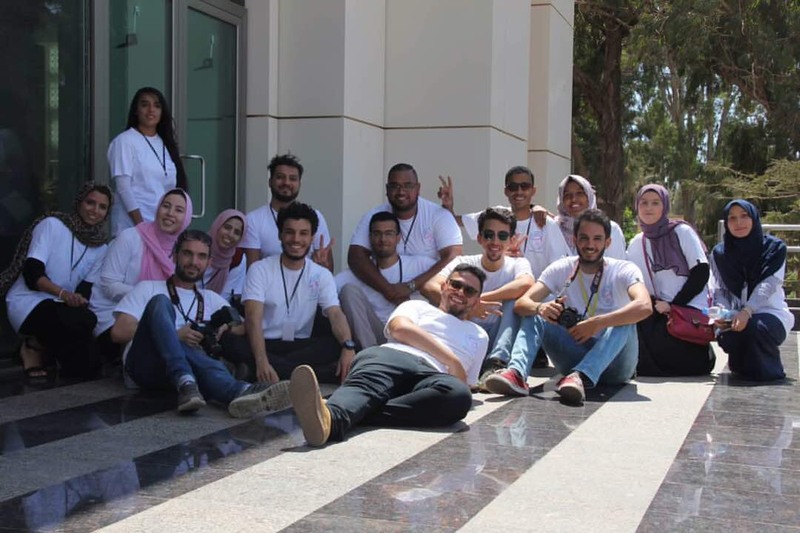 Medical students from the University of Central Lancashire (UCLan) have taken the ingredients of an established Lancashire health initiative and replicated its success in Benghazi, Libya. 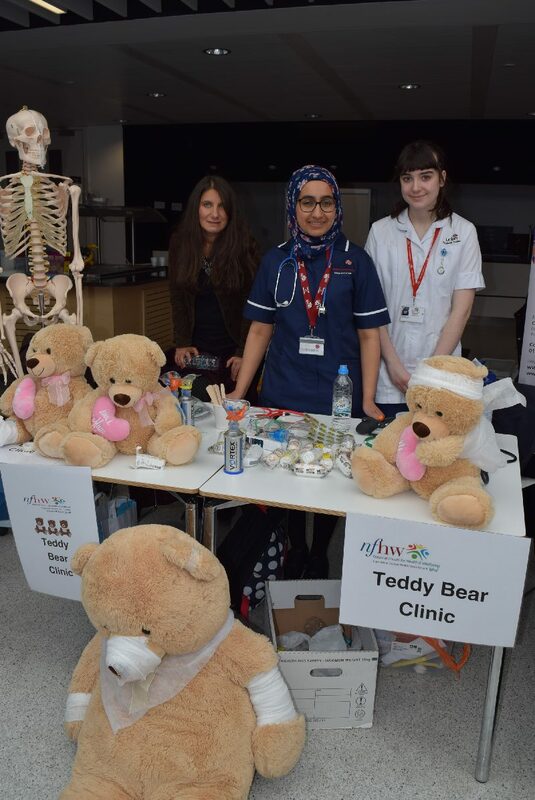 The ‘Health Mela’ was first conceived and developed in Preston by the *National Forum for Health and Wellbeing and the UCLan students were inspired by its ethos of bringing together a wealth of health-related information, free health checks for the local community and the opportunity to meet health professionals for advice in a relaxed environment. 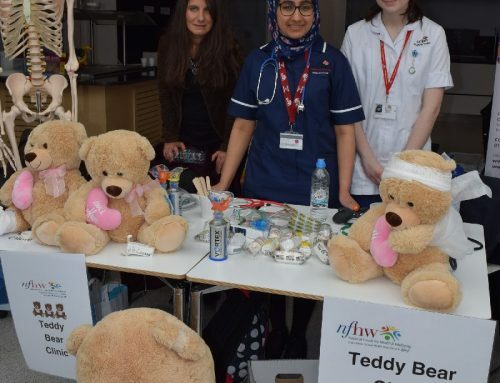 The students, from UCLan’s Bachelor of Medicine & Bachelor of Surgery (MBBS) programme, decided to see if they could mirror its success abroad. Eight UCLan students (seven studying on the MBBS and one studying Biomedical Science) travelled to Benghazi where they galvanised support from other students at both the Libyan Medical International University and Libyan Arab University. In total, 35 medical student volunteers took part in the first-ever Libyan Health Mela with over 250 of Benghazi’s local community receiving health advice and checks for things such as blood pressure, BMI measurements as well as analysis of blood sugar and cholesterol levels. 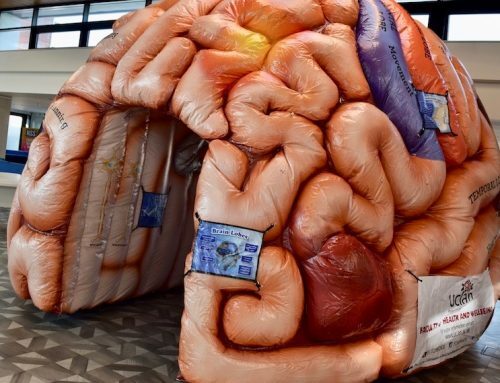 The daylong event also incorporated short lectures, delivered by local hospital nutritionists, while educational videos were available to heighten the public’s awareness of health conditions such as heart disease and stroke. 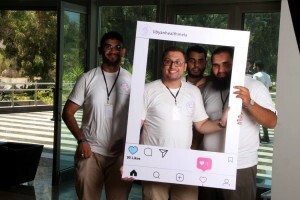 Commenting on the day, UCLan’s Sanad Elrishe, a third year MBBS student and one of the event’s organisers, said: “Once we’d carried out our health checks we ran one-to-one sessions with attendees, using their health data to provide lifestyle advice tips. 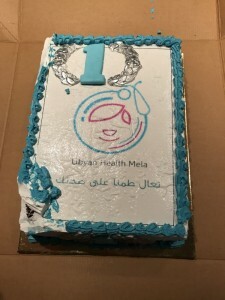 The other two organisers of the Mela were Sorour Obaida, a fourth year medical student at Cairo University and Ghada El-shititi, a fourth year medical student at the Libyan International Medical University. 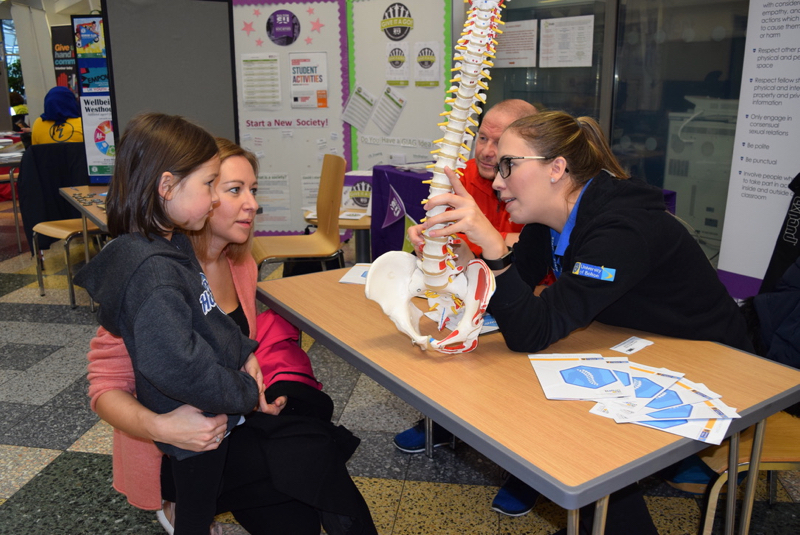 *In Preston, the annual Health Mela has been a popular event in the community calendar for the last 17 years. It is organised by the National Forum for Health and Wellbeing. As a truly global institution with an established campus in Cyprus, UCLan’s student body includes 120 nationalities and its partnership network extends to 125 countries. In 2013 the Quacquarelli Symonds World University Rankings awarded UCLan the full five stars for its global outlook in all aspects of international educational provision. In 2017 the Centre for World University Rankings placed UCLan in the top 3.3 percent of all worldwide universities.